Tazza D’Oro will be open Sunday, April 12th from 8am to 12 noon – espresso, single origin French Pressed coffees and pastries, oh my! If you get any marshmallow peeps in your basket and don’t like them – I’ll trade with ya…Italian Cappuccino? We ALJWLCWs (aetheistic lapsed jews with lapsed congregationalist wives) thank and gratefully salute you! 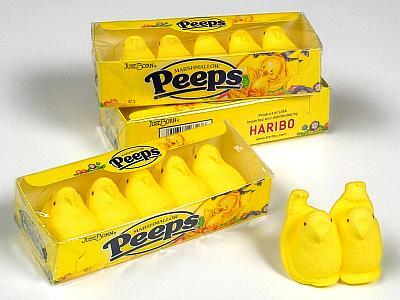 you can have all my peeps, amy. no trade necessary.